Excuse Me, Bioware: What The F#*% Are You Doing? 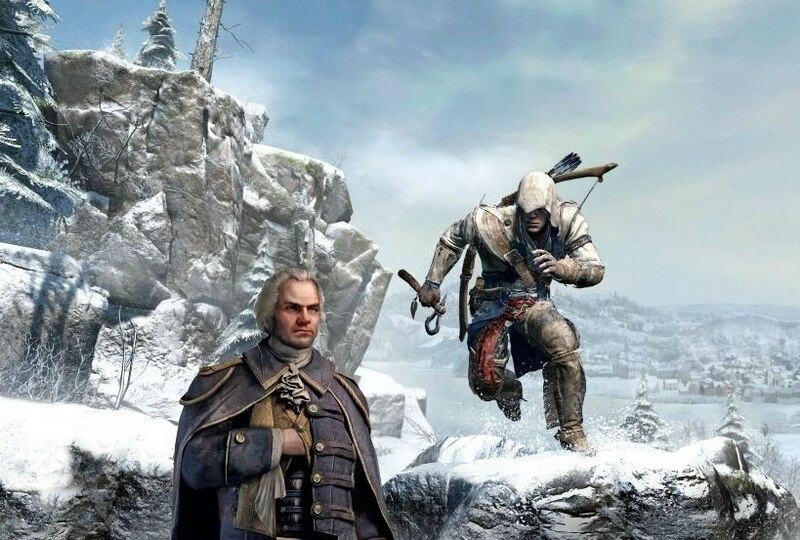 Coming on the heels of Ubisoft revealing the official cover art for Assassin’s Creed 3 yesterday, five images have surfaced on the internet showing of what are claimed to be screenshots of the game. Although not officially confirmed, these images still seem convincing and give some insights about what to expect in terms of gameplay. 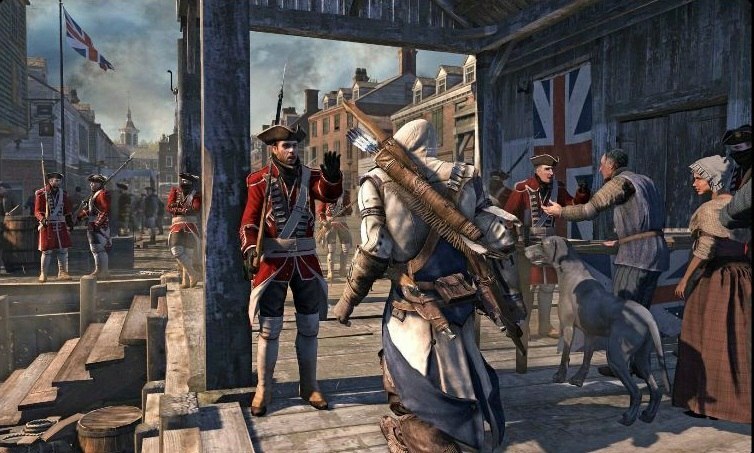 According to current released information, Assassin’s Creed III is to be set during the American Revolution. 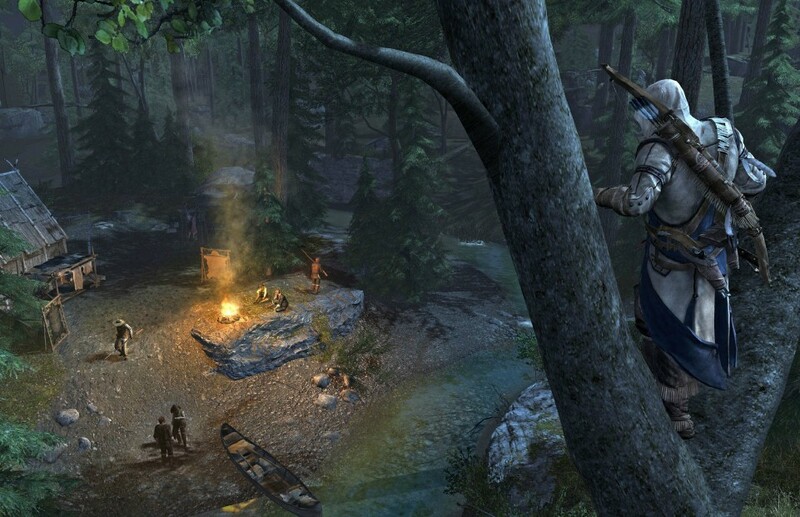 Initially, this REVELATION (heh) generated some controversy among fans due to anxiety that Assassin’s Creed III would be missing the sprawling cityscapes and vertical gameplay unique to the series. After examining the images, it seems colonial America may be providing a gameplay flavor all its own that could be comparable. The main character is a hooded assassin armed with a tomahawk, bow, and hatchet knife, in addition to other inevitable weaponry. Many are drawing the conclusion that the player character will be of Native American descent, be it full-blood or mixed lineage. However, this facet is entirely speculative. 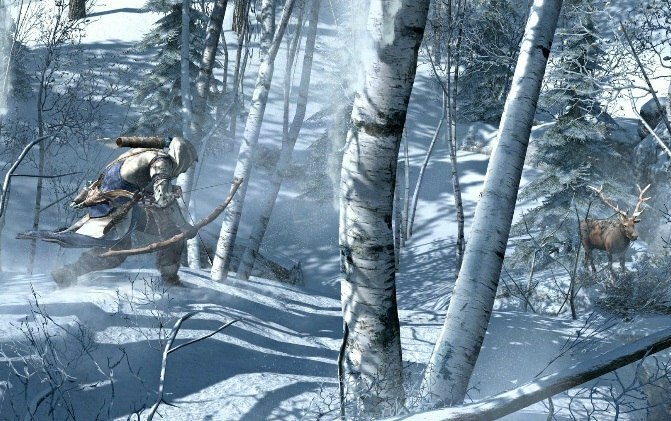 The images show him prowling through forest areas, hunting an elk, snooping on what appears to be an outpost, and walking among settlers in a colonial town. Keep your eyes and ears peeled for more details on the game directly from Ubisoft on this coming Monday, March 5.
and to elaborate a bit here you will also have a rifle as a weapon. the guy i native american and to replace alot of your used as the city landscaping there will be mountins and forest type settings. 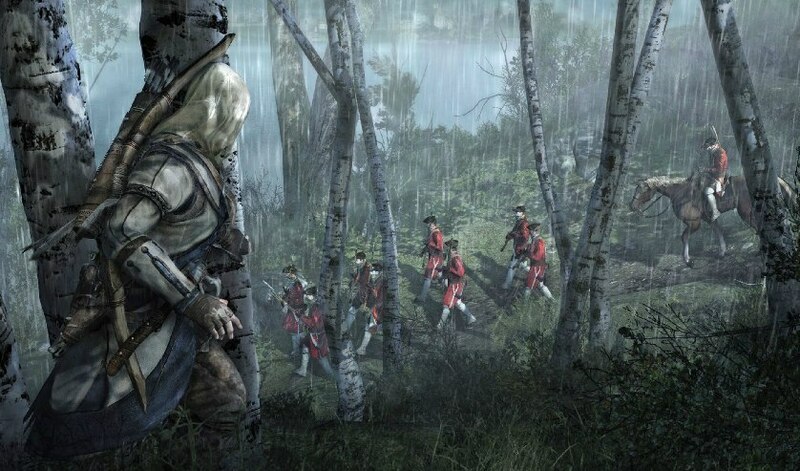 i have also seen the talks of there being major battles of the revolutionary war taking place in the game where there will thousands of soldeirs in one feild of play at one time. so alot going with this. man i really waiting for this one to hit everything i come across on it is saying that it basically the great game play your used to seeing from the series just on steroids. Every time I try to click the screenshots it just takes me to the index page.